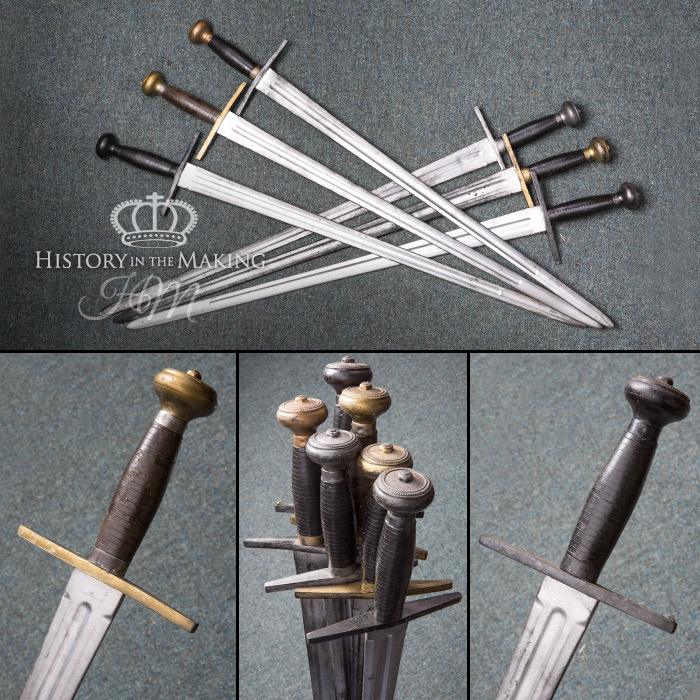 We have a large and varied stock of swords that are appropriate for the Medieval Period. 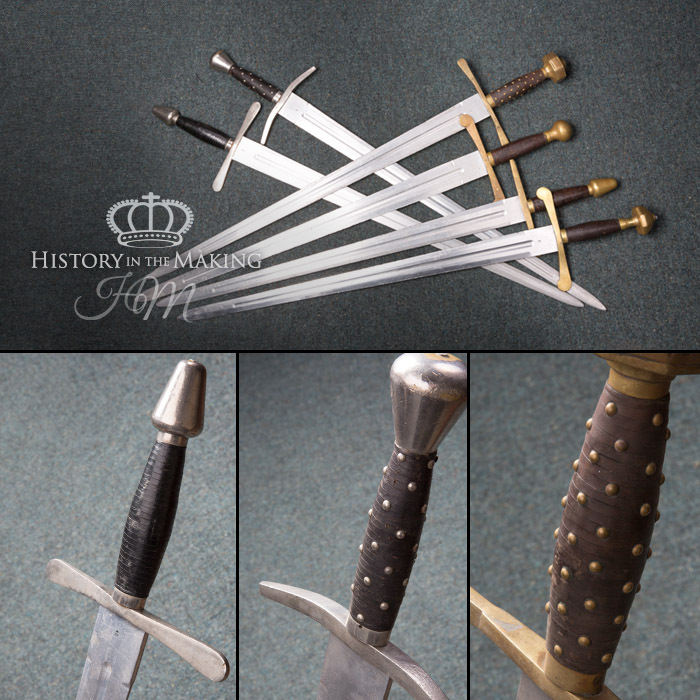 We stock 3 main type of Medieval sword. The Broad Sword, the Hand and a Half Sword and the Double Handed Sword. 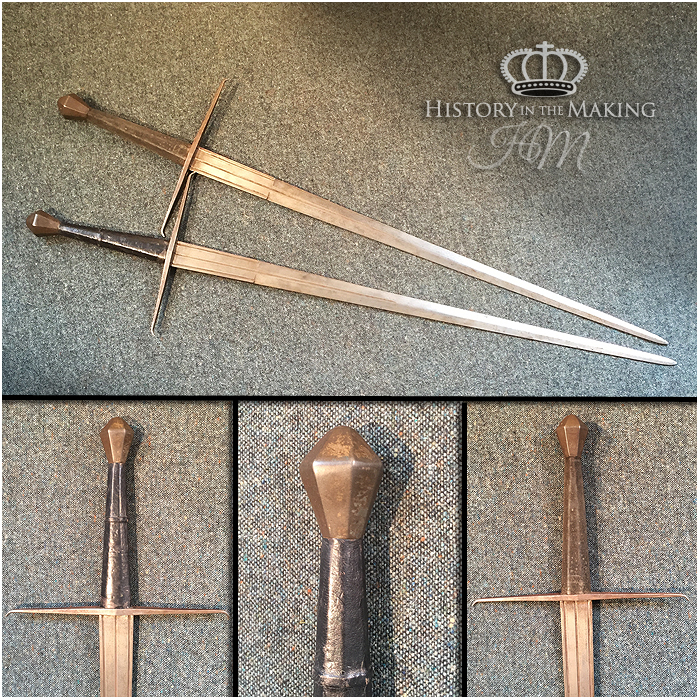 The Swords that are made in-house are constructed with a Duralium Blade with a hardwood hand grip and solid Brass Cross Guard and Pommel. 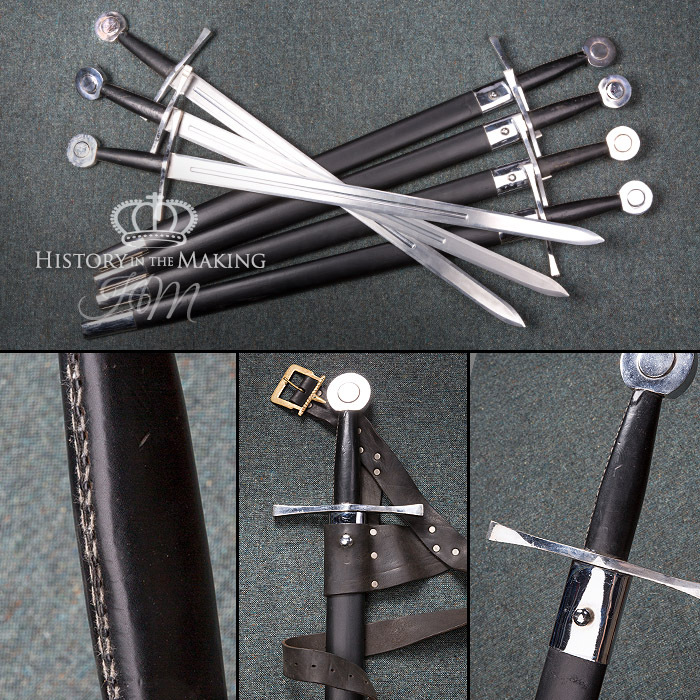 We also stock swords that have been manufactured for the Re-enactment Market. These have sprung steel Blades and steel fittings. 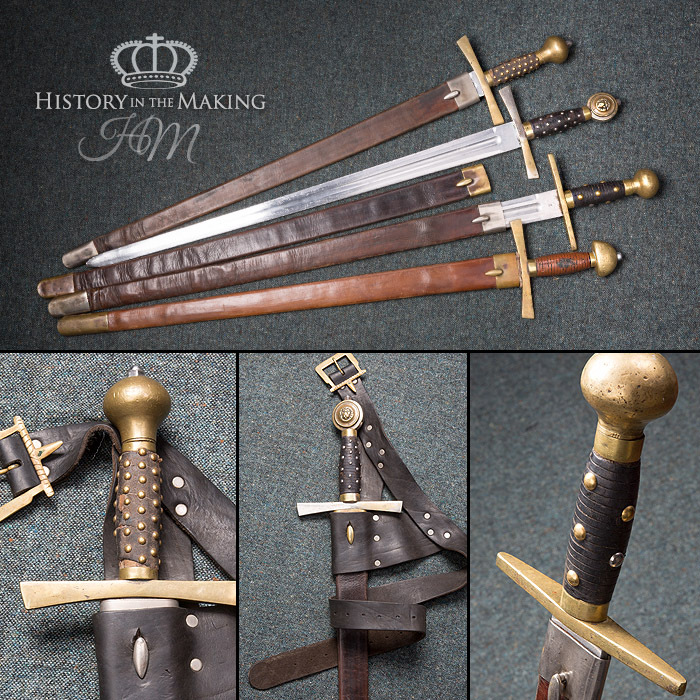 Most of our Medieval Swords are supplied with a leather scabbard and can be carried on one of our leather sword belts.